What is Bifidobacterium Lactis Complex? Bifidobacteria are a form of naturally occurring bacteria that are commonly found in the gastrointestinal tracts and mouths of mammals, including humans. They are one of the common forms of bacteria found in the intestinal flora of humans and are believed to have many positive health benefits. Bacteria were first observed by Dutch microscope pioneer Antoni van Leeuwenhoek in 1676, when he observed single-cell organisms living in drops of water. Two centuries later, Louis Pasteur became the first scientist to describe the biological activity of these organisms and proposed that diseases arose from the activities of these microorganisms. This is known as the germ theory of disease. Where is Bifidobacterium Lactis Complex Found? Bifidobacterium naturally occurs in fermented milk products such as yogurt and kefir. It can also be used to treat intestinal and other disorders in the form of probiotic supplements. How does it work? What does Bifidobacterium lactis do in the body? Bifidobacterium lactis is one of many types of bacteria that are considered “friendly” organisms and that are used as a form of medical treatment called “probiotics” (as opposed to antibiotics). These “friendly” bacteria perform many functions in the human body, including breaking down food into more easily-absorbed nutrients, producing lactic acid and acetic acid to control intestinal pH levels, and preventing the spread of “bad” or disease-causing yeasts and bacteria such as Candida albicans and E. coli. (5,7) One theory is that Bifidobacteria catabolizes oligosaccharides; that is, an ability to metabolize or digest “indigestible” plant polymers in other bacteria. Bifidobacteria are considered beneficial organisms, and are often used as probiotic treatments for disease conditions (or medications) that have resulted in the destruction of “good” bacteria and the proliferation of “bad” bacteria. As an example of the former, medical treatment with antibiotics can succeed in destroying disease-causing bacteria and thus eliminating a disease condition, but at the same time the antibiotics can kill off normal benevolent (and essential) bacteria in the gastrointestinal and urinary tracts. The use of Bifidobacteria is common as a probiotic treatment to relieve or treat a number of intestinal disorders. Individual conditions for which evidence of Bifidobacteria’s possible effectiveness as a probiotic treatment exists are covered in the following sections. The most convenient way to add Bifidobacterium lactis to one’s diet is by regularly taking probiotic supplements on a regular basis. Many studies have found evidence that seems to indicate that these supplements can be effective in maintaining good overall health. However, it is always a good idea to read the label of such products to make sure that Bifidobacterium lactis is, in fact, included in the mix. If you are particularly searching for Bifidobacterium lactis, make sure it is specifically listed in the ingredients. Because Bifidobacterium lactis is not the only beneficial bacterium included in probiotic supplements, read up on the effects of other strains included in the product. 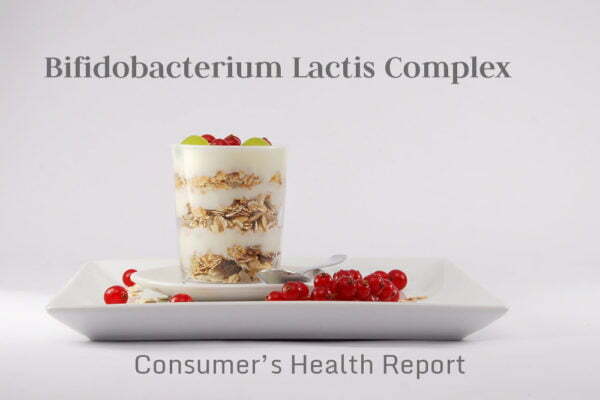 These may include Lactobacillus acidophilus, Bifidobacterium bifidum, Bifidobacterium longum, Lactobacillus fermentum, and Lactobacillus rhamnosus. Any probiotic supplement you consider should have an expiration date on its label. If it doesn’t, you should be suspicious and consider an alternative. • Choose your supplements from a reputable company. • Follow the directions on the label and take the recommended dosage. • Avoid taking probiotics on an empty stomach. • Store probiotics properly – in most cases that means in a cool, dry place. Some general guidelines for taking bifidobacterium probiotics are listed below. If you are considering the use of Bifidobacteria for the treatment of a specific condition, consult your physician for more specific recommendations. • When taken for constipation, the typically recommended dose is 100 million to 20 billion CFUs daily, taken orally for 1 to 4 weeks. • For irritable bowel syndrome, a common recommendation is 100 million to 1 billion CFUs daily, taken orally for 4 to 8 weeks. • For airway infections, 3 billion CFUs of Bifidobacteria, used daily for 6 weeks. • For ulcerative colitis, to reduce chances of remission, a dosage of 900 billion CFUs of Bifidobacteria plus Streptococcus, used once or twice daily. In the case of a complication after surgery called pouchitis, a dose of up to 3 trillion CFUs of Bifidobacteria plus Lactobacillus and Streptococcus, once daily for up to 12 months. • For helicobacter, 5 billion CFUs of Bifidobacteria plus Lactobacillus daily for 1 week during and after H.pylori treatment. • For constipation, 1 to 100 million CFUs daily, taken orally for 4 weeks. • For irritable bowel syndrome, 10 billion CFUs daily, taken orally for 4 weeks. • For airway infections, 2 to 10 billion CFUs of bifidobacteria plus lactobacillus. • For diarrhea in infants, bifidobacteria plus streptococcus has been successfully used in children up to the age of 3 years, twice daily for 3 days. • For ulcerative colitis, up to 1.8 million CFUs of bifidobacteria plus lactobacillus and streptococcus daily for up to 1 year. There has been insufficient research on the safety of taking Bifidobacteria lactis if you are pregnant or breast feeding, so check with your personal physician before taking it. There has been some preliminary research that indicates that probiotic bacteria might grow too well in people with weak or impaired immune systems. Although this has not happened with bifidobacteria in particular, if you have HIV or are undergoing cancer treatment you should check with your physician before taking it.